The life of Jiang Yuan reads a lot like a modern-day fairytale. She had it, lost it, got it back again and found a happy ever after ending. The life of Jiang Yuan reads a lot like a modern-day fairy tale. She had it, lost it, got it back again and found a happy ever after ending. But at one stage it didn’t look as if Jiang was going to make it, such was the precarious position she found herself in. Today, we can see Jiang as a mature female CEO, who is leading a public company to provide professional solutions in semiconductor area. 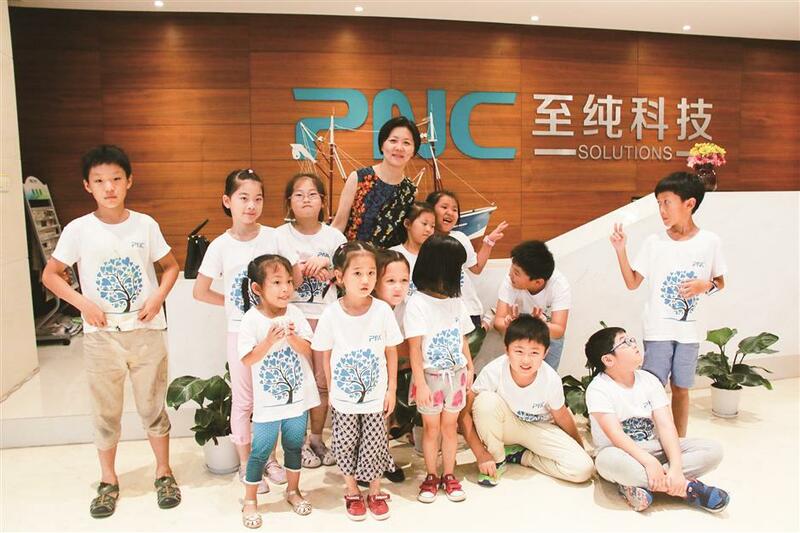 Thirteen years ago, Jiang lost almost everything in her company, PNC Process Systems Co Ltd. Money, clients, teams and equipment were all lost. She could not sleep, as her health was deteriorating, while the company continued to crumble around her. “It all happened not long after I gave birth,” said Jiang. “My body was tired but there were millions of things running through my mind. My heart rate was too fast for my body to handle and I had to go to the hospital for an examination. Jiang started PNC Process Systems in 2000, and almost failed in 2003. In 2004, she started again with only seven people on board after borrowing a million yuan (US$153,300) from friends. The advanced manufacturing industry was beginning to take off in China at that time and she seized the opportunity. The company provides Ultra High Purity (UHF) solutions for semiconductors, microelectronics and biomedicine and it had managed to reduce the market cost by 60 to 70 percent. Everything was going well until Jiang delegated the finances of the company to one of her workers in 2002. It proved to be a costly move. “I guess what doesn’t kill you makes you stronger. And I think that I’m blessed because I was betrayed at such an early age, when there wasn’t much to lose,” said Jiang, who previously worked for a German company prior to setting up business on her own. “I’ve learned to be vigilant, but I’m really proud that I can still trust someone entirely, despite this experience. alone, but how much it can create for its clients and staff. Jiang and the kids at the summer camp run by the company. Inside the company building is a gym, squash court and the staff can bring their children to work during summer holidays, where Jiang holds regular group activity classes for children to paint, play chess or enjoy Lego. Children are important to Jiang, and as the CEO of a company and a mother, she doesn’t want the dilemma many women face having to juggle between a career and motherhood. Naturally she wants to be a good mother to her two sons and believes that the quality time they spend together plays a bigger role in home education than hovering over her children 24 hours a day. As for PNC Process Systems now, it just keeps going from strength to strength. Earlier this year it was listed on the stock market, the first company in Minhang Zizhu High-tech Park to be listed on the stock exchange. Jiang believes she could not have built up her company to be the success it is today without the foundations of support from her family. And you could say, that after all of the heartache and trauma, there was a happy ending and they all lived happily ever after.